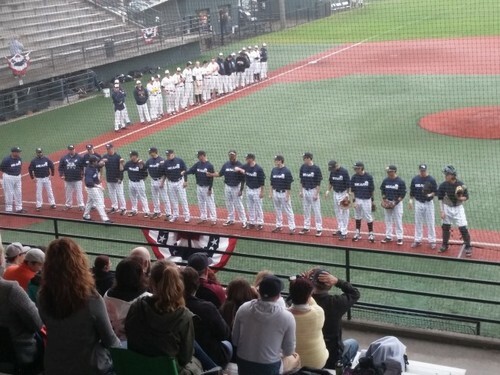 After Blaze starter Brandon Marklund loaded the bases in the fourth inning by hitting three Bears batters, second baseman Connor Jones delivered a two-out single to score Cameron Slader (a West Seattle High School alum) and Colton Kelly. The two teams will meet again today (Sunday) at Steve Cox (1321 SW 102nd) for a doubleheader beginning at noon. Tickets are $5, with kids under 12 admitted free.